Real Housewives Of Beverly Hills Reunion Begins Tonight – And PantyGate Rages On! So the days of our dramas rage on with the first segment of the Real Housewives Of Beverly Hills reunion. Tonight continues the battle of the vajaynejayne as Erika Griradi and Dorit Kemsley (plus her plus one PK) discuss the minutia of pantygate. At this point I think they should all just call it even by joining a nudist colony. ENOUGH! Seriously – it is Eileen Davidson levels of obsession – and beyond. The Real Housewives Of Beverly Hills reunion footage was barely in the can before everyone and their brother started hyping it. (Is that a good sign or a bad sign?) 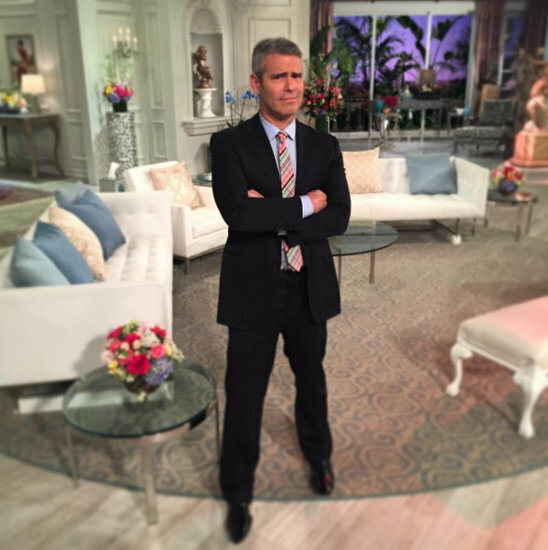 Andy Cohen continues stoking our curiosity fires by offering a few interesting nuggets from the reunion – namely that Lisa Rinna had a LOT of explaining to do on those couches, and that Dorit Kemsley’s fued with Erika Girardi rages on. Andy says, “Flashbacks are not Lisa Rinna’s friend this season, unfortunately,” referring to the footage of Rinna talking to Eden Sassoon about Kim Richards’ sobriety. One would assume that this footage – which has driven many an episode and taken up far too much of my own personal brain space this season! – was highlighted front and center at the reunion. “I don’t think I took it easy on her at all,” Andy said of Yolanda. (‘Cause he is DEEEEELLLLUSSSIONAL – said in my Kristen Taekman operatic voice!) “As a matter of fact, when part one of the reunion aired, I got a million mean tweets from people saying, ‘Why are you being so mean to Yolanda and pushing her about her marriage? '” Andy claimed. YEAH RIGHT. It was probably Daisy’s job as health advocate to those tweets. In her final blog of the season, newbie Kathryn Edwards continued to defend Lisa Vanderpump and shared her overall thoughts on her first season on the Real Housewives of Beverly Hills. Last night was the kickoff of the three part reunion for The Real Housewives of Beverly Hills and it didn’t disappoint, despite being The Yolanda Show. Eileen Davidson has much to say about this episode, throwing out digs at Lisa Vanderpump and Kyle Richards, and sharing her empathy for Yolanda’s journey. CLICK THE CONTINUE BUTTON FOR MORE! Report: Yolanda Foster Refused To Discuss Divorce During Real Housewives Of Beverly Hills Reunion! Last week the Real Housewives Of Beverly Hills reunion taped. Lisa Vanderpump already bemoaned the horrors of the day, but according to sources it seriously was a dramatic hot mess of sobbing, apologies, and friendships betrayed! Oh, and Lyme Disease – there is always that! 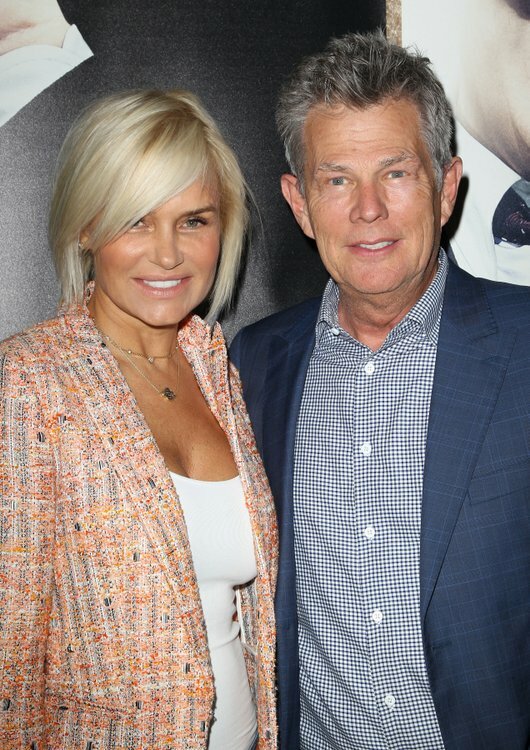 Most unsurprising was Yolanda Foster‘s refusal to address her divorce – which she hid so far all season from cameras and the other ladies. More photos from the epic Real Housewives Of Beverly Hills reunion, including the seating chart, are below! Lisa Vanderpump took to her RHOBH blog to reflect back on season five of Real Housewives of Beverly Hills, pointing out a glaring similarity to season four, and thanked fans for their support following Ken Todd‘s recent surgery.